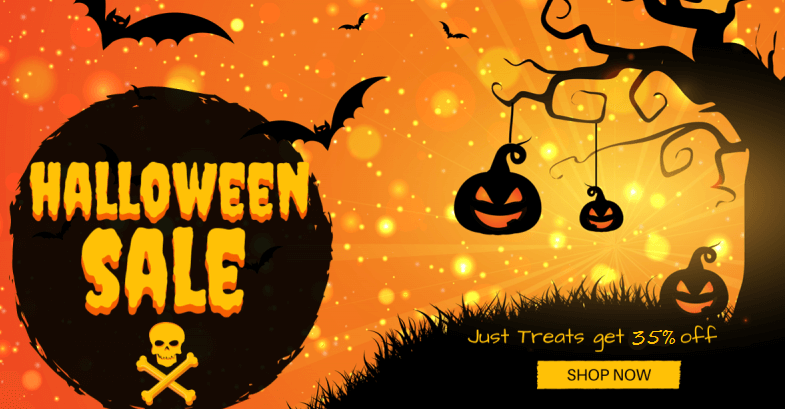 The Creepy Halloween Sale is here to reward all our existing and new customers with a great discount on all our Magenton1 and Magento2 Extensions. When Halloween is approaching near, the best deals seem to appear! 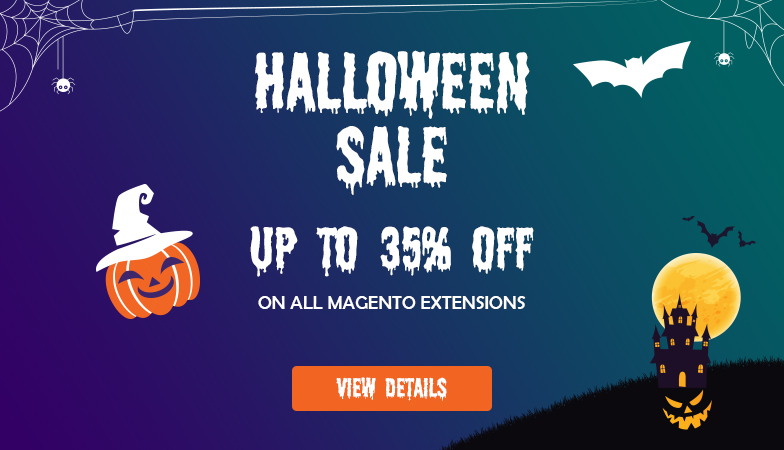 This Halloween, grab up to 35% off on our premium Magento extensions and upgrade your Magento store today! Hurry before these deals fly by! Halloween is near, so SoftProdigy wants you to be ready for the upcoming shopping season with something unique on your store, making it ready to engage more visitors and start selling to your target audience. People have already started making plans about “their costumes” and “how they will be partying” this Halloween. To help you make more sales and keep the users engaged with unique features and functionalities, we invite you to grab the never-before sale offer, before it’s too late. Whether you are an established brand or just entered the eCommerce market with something innovative that buyers would love to explore, this offer proves to be a great opportunity to integrate something different to your store and double your sales for this festival season. This is a limited-time offer, and won’t last too long. We never believe in playing dirty games as total transparency and customer relationships are the prime aims of SoftProdigy. No features are removed or no additions are done for the offer. The offers are applicable on the real products. How to redeem your 35% off discount? Launch great deals online easily with an engaging countdown timer to encourage users to grab the deal before it’s gone. This extension stimulates customers to buy more products before the deal expires by offering discounts. Daily Deals Extension supports multiple deals with featured deals easily highlighted. This is another top-selling extension available created by certified Magento developers, designed to allow online shoppers to interact with the store owners and buy products at a negotiated price. Shoppers can suggest a quoted price for products they wish to purchase. Store admin can accept or reject the quoted price. Blue Dart Shipment Integration extension allows online buyers to check Cash on Delivery in their desired product delivery location by simply providing the Zipcode of delivery location at product detail page, For every product ordered, this extension will also generate a PDF that contains all details like product and user details, in the form of a barcode, which is sent to the sales department for order processing.